Find the best baseball summer camps in your area and receive high-quality baseball training from outstanding coaches. Baseball is a game of skill, and learning the skills better and earlier is often the trick to becoming an efficient player. No doubt attending a baseball camp is a commitment of both time and money but, most of the time, they are well worth the investment. One of the greatest benefits, and often the reason some camps are pretty costly, is the level of coaching players receive. Options for kids summer camps can vary from programs hosted by your local baseball association to a college baseball camp to baseball training from professional players and coaches. One of the main factors in choosing a baseball camp is the location. Fortunately, there are outstanding camps offered in many cities and states across the US. Do you have a favorite college program or alma mater? Most colleges offer camps that not only provide kids with outstanding instruction from some of the nation's top coaches, but kids get a flavor of the college experience. If you're interested in playing ball at a particular university, it's a great idea to attend one of their summer camps. Nationally renowned, privately owned camps are offered across the U.S. 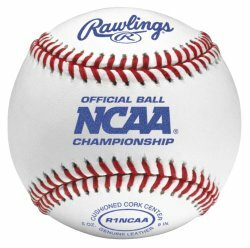 They are not affiliated with any particular college, and they are run by highly-respected, famous baseball coaches and players. It's possible one of the these travelling camps will be hosted at a facility near you. Have a favorite Major League Baseball team? Imagine your child's excitement attending a summer camp hosted by his/her favorite team! These camps tend to be a little more expensive, but they also come with lots of nice perks. Getting the chance to be down the field and meet some of the pro players and coaches is an experience your kids will likely always remember. Some programs offer specialty camps, giving players the opportunity to hone their skills in a very specific part of the game. For instance, a hitting camp may provide a detailed, videotaped swing analysis. Of course, pitching camps can ensure that young players have the best chance to learn healthy arm motion and to develop multiple pitches. This type of attention to the finer points of the game may be worth the expense to get your athlete to the next level of competition. Are you looking for a baseball camp in a particular city or state? There are plenty of outstanding choices offered throughout the country, so you should have no trouble finding one near you. Local camps can often save money when it comes to travel, room, and board. Usually, the cheapest camps are those offered at local high schools. Definitely check with any junior colleges and universities you have nearby. Also, check with your local YMCA to see what summer programs they might be offering. Below you will find some popular baseball summer camps organized by state. We are adding to this list regularly, so if you have a camp you would like us to post, contact us with the info.